In addition to collecting old photos of Phoenix, I collect old maps, and it always surprises people to see that there once were city streets where there is now airport property, at Sky Harbor Airport. Take a look at the east end of Sky Harbor Airport in 1956, in the map above. Those were city streets there, with houses, and people in them. 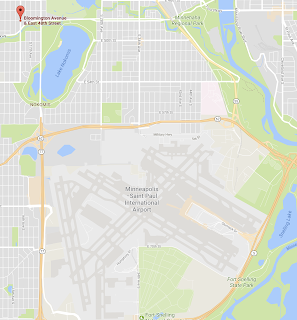 And if it's hard for you to imagine, I think I can help, since I grew up in Minneapolis, right near by airport, at 48th Street and Bloomington. 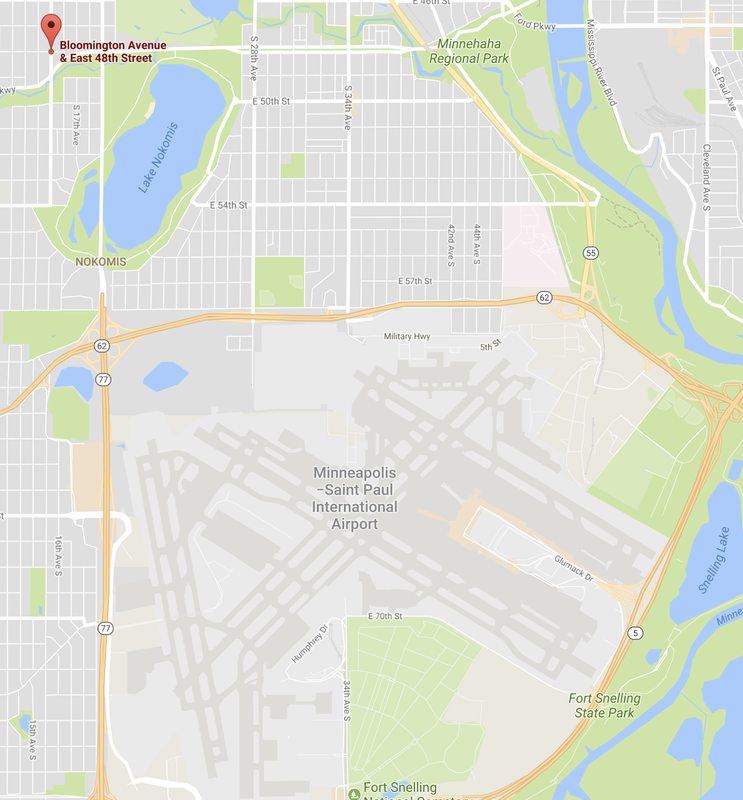 I just took a look at my old neighborhood in Minneapolis on Google maps, and while the houses aren't as close as the ones in the 1956 Phoenix map above, they're still pretty darned close. I have friends who still live in the neighborhood, and when I'm talking on the phone with them they have to wait until the planes go over. From where my house was, you could see the landing gear, and we really never thought of it as a big deal. Of course the planes were landing away from the neighborhood, not towards it, and that's an important safety concern. The noise (which is horrific to this day) hasn't seemed to bother the property values, as this is still a nice neighborhood, with the even more expensive houses actually closer to the airport property, which goes to 58th Street, ten blocks away from the house where I grew up. The neighborhoods around Sky Harbor Airport in Phoenix are long gone, and like I say it's kinda shocking to see city streets where there are now runways, and airport property. It must have been noisy!